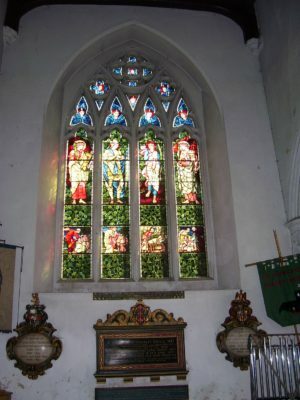 The Brocket Chapel was originally called the Ponsbourne Aisle and was built in the thirteen Century, and rebuilt in the fifteenth century by the Fortescue family, Lords of the Manor of Ponsbourne and whose arms can be seen on the capitals of the pillars of the arcade leading to the chancel. 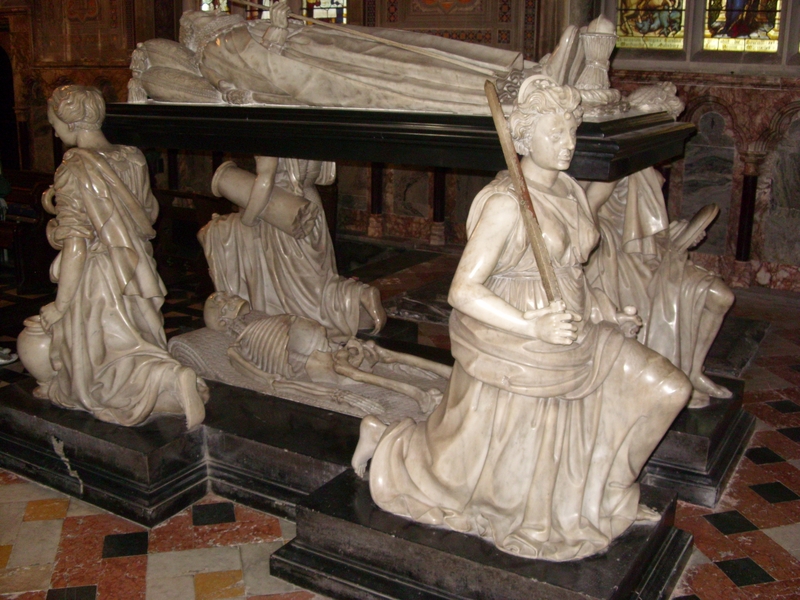 Several years ago the crypt below the chapel collapsed and only recently has work been completed to enable parishioners and visitors to again access the chapel and allow them to examine more closely the statuary, stained glass and other remarkable features of this part of the church. Opposite the Brocket Chapel is the Salisbury Chapel which contains the tomb of Robert Cecil, the first Earl , who left an endowment to his old college of St John, Cambridge for sermons to be preached annually at Theobalds and Burghley. On the exchange of Theobalds with Hatfield (by James I and VIth) the sermon was transferred and the Burghley Sermon has been preached at Hatfield since 1607. 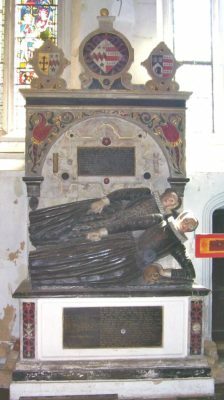 The chapel also holds the cenotaph of Robert Gascoyne Cecil (third Marquess of Salisbury) together with the little effigy of a knight which was removed from the Ponsbourne Aisle in 1871 and is believed to date from 1190 and the tomb of William Curll - the latin inscription being now illegible but the curved position of the effigy may be a play on words by the sculptor Nicholas Stone. 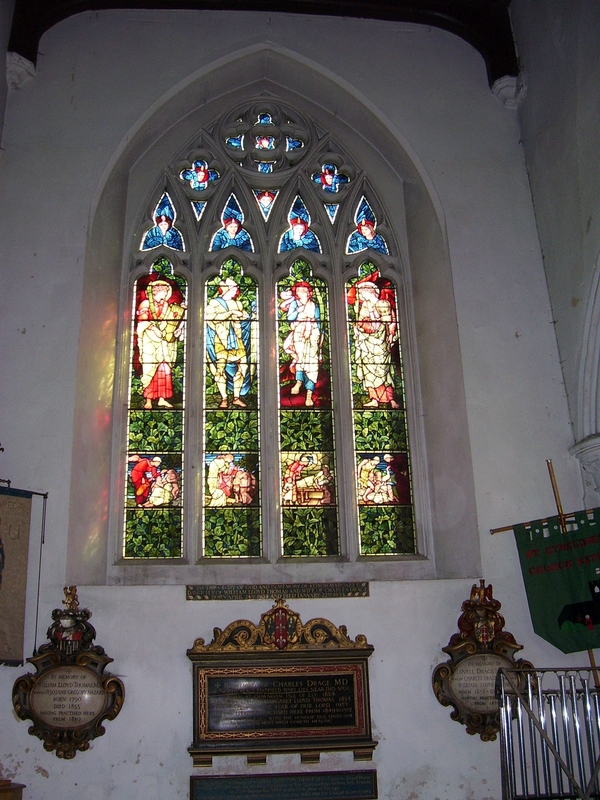 This chapel has also had repair work done since a leak to the roof (the work was finished in time for the annual Burghley Sermon - preached on 18 October 2015). 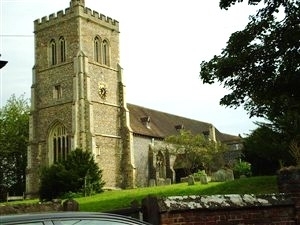 This, the parish church, built at the top of the hill ( known as Fore Street) in the old town of Hatfield enjoys a great deal of history.A church has been known to have been on this site since at least 680AD. 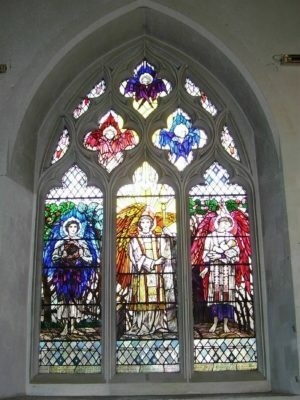 Accounts of the church can be found in part 7, Churches in the set of books – Hatfield and its People published in September 1961 – the books on Bishop’s Hatfield by the Reverend Jocelyn Antrobus and more is to be found in the Guide to the Parish Church (published 2009) in the church. 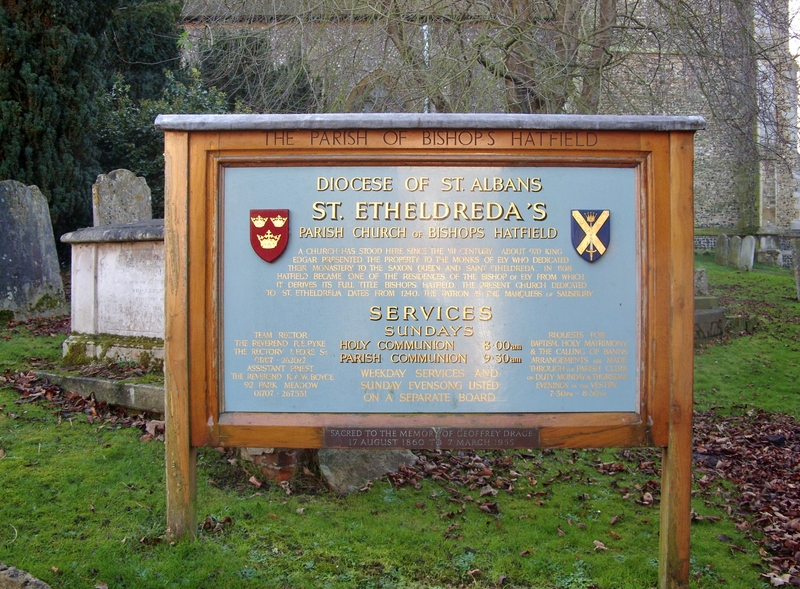 The carillon was again overhauled in 2015 by Mr. Peter Jackson (whose business card was still in the bell tower) and who was contacted by Mr. Jon Brindle – a Hatfield history buff. 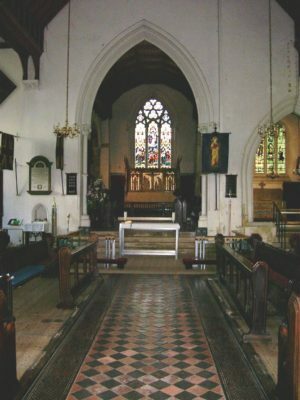 At the west end of the church a new room-“the Bolt Hole” became the vestry and serves as a place for the preparation of refreshments and the storing of vestments. Pews were also removed from the area at the south west of the church to make a family corner. The old pipe organ had become almost useless so a new pipe-less one was installed and has proved pleasing to congregations ever since. Another change which has been made and has proved a success with the people who had , on occasion, had to sit through services muffled up against the cold, was the upgrading of the heating system. Other beneficiaries are the many visitors who, in the season when Hatfield House is open to the public, call in to the church where they can better appreciate the connections with the House and the many historic facts concerning the church and its many memorials. Love the photos of your beautiful church that I checked out after watching Dan Cruickshanks BBC4 Monuments of Remembrance programme last night. 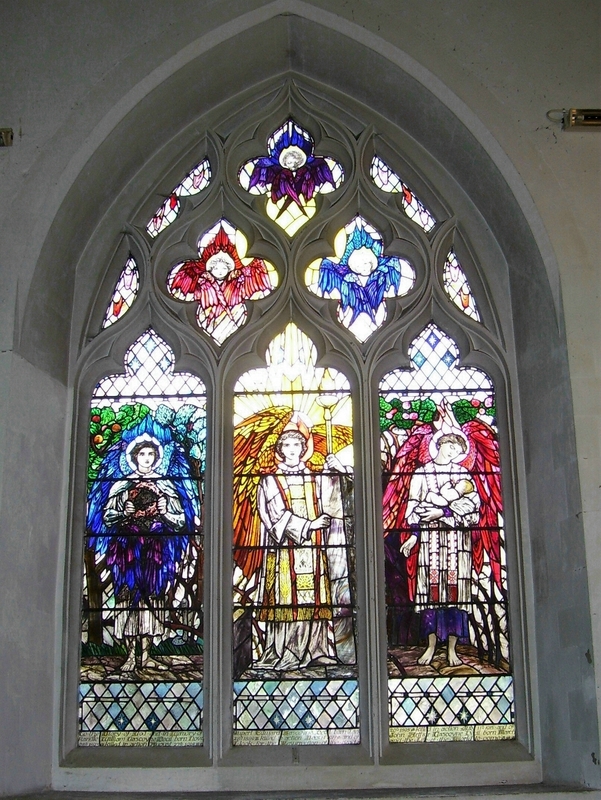 I was taken by the window to the Cecil boys killed in WW1 as I was convinced it was by Edward Burne Jones. Realised it’s not, but you do have a window by Burne Jones incorrectly spelt as “Bourne Jones”. Sorry to be pedantic.